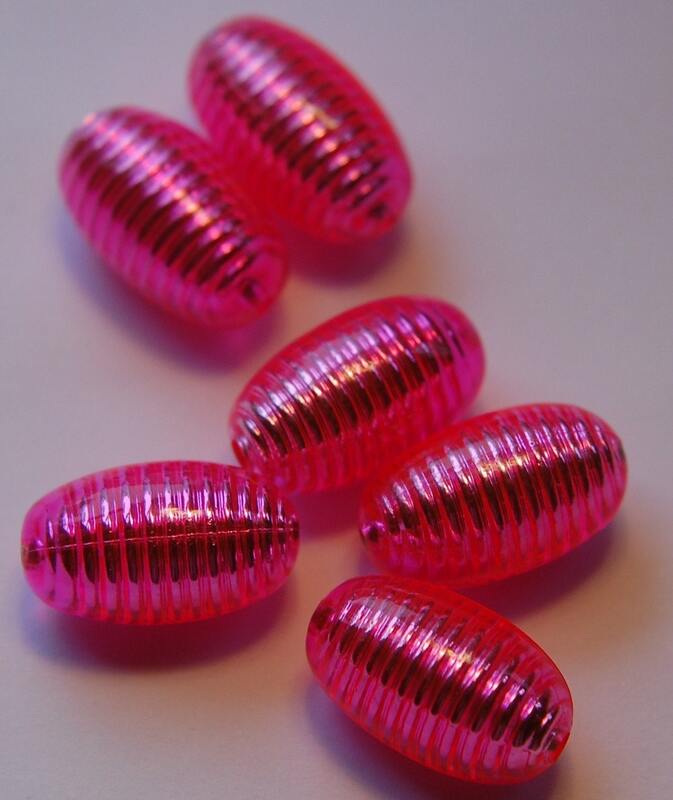 These are really awesome and fun beads. They are vintage plastic from Germany. 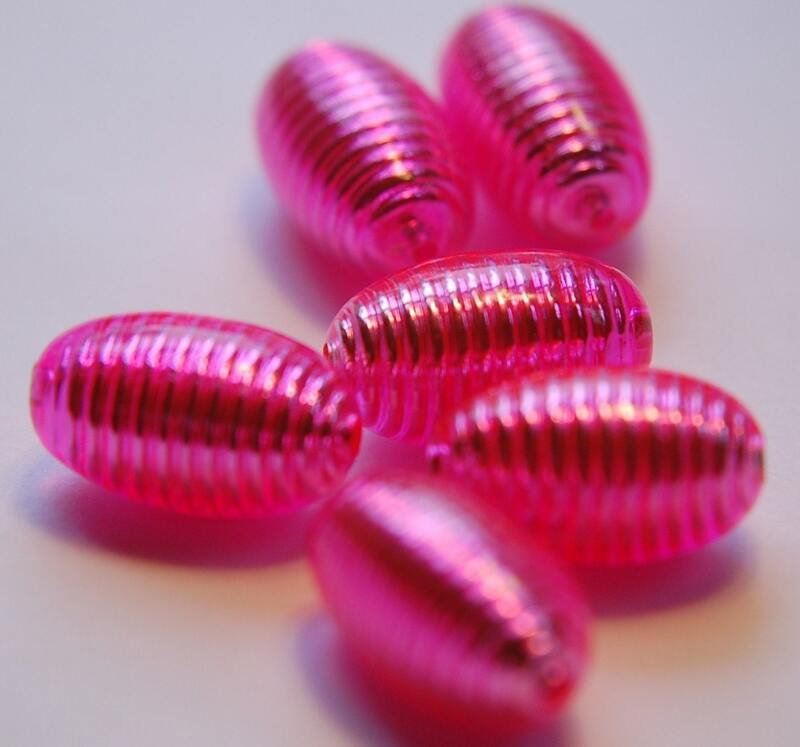 These have 2 layers, the inside is a vibrant pink ribbed layer and the outside is a smooth clear layer. These measure 18mm x 10mm. You will receive 6 of these.